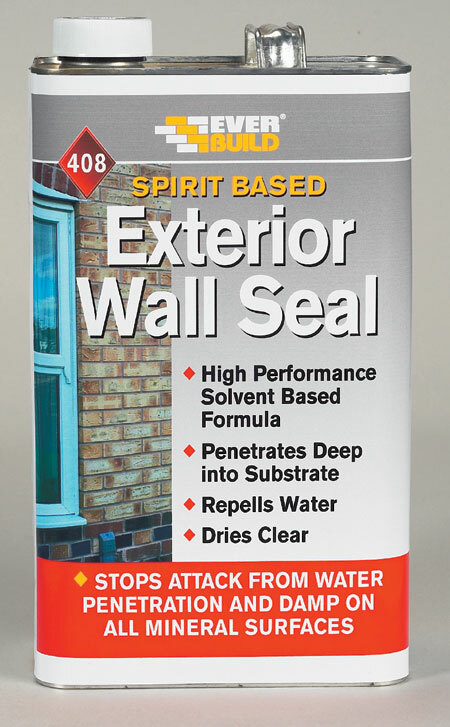 Everbuild - Exterior Wall Seal is a spirit based transparent water repellent, formulated to prevent attack by water penetration on brick, stone, concrete, plaster, rendering etc. 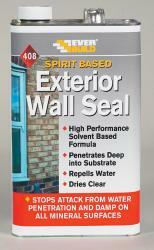 Wall Seal penetrates deep into the treated area to provide effective repellency for many years. Dries clear. Can be applied by spray, brush or roller.